Theme; a popular pantomime story. 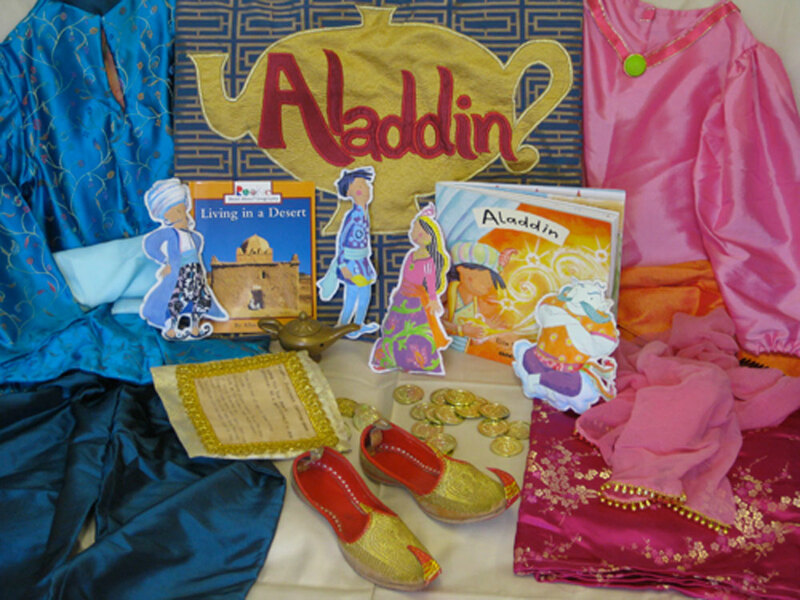 Aladdin conjures up not just one but two genies, falls in love with the princess and must outwit an evil magician. This storysack also has fantastic dressing up costumes! *Made in 2009 by Myatt Garden parents, with sponsorship from Boden UK.